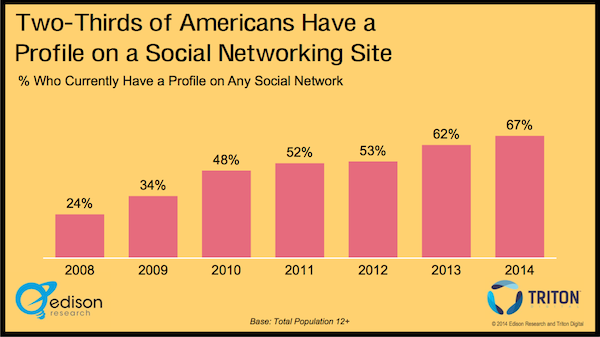 Two thirds of Americans have a profile on one or more social networks, reveals a new study, with about one in six (16 percent) using Twitter. 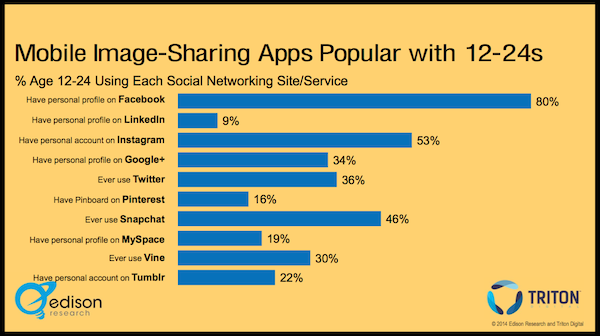 Edison Research surveyed more than two thousand U.S. citizens aged 12 and older as to how they’re using digital platforms and found that 67 percent of respondents use social media. Of these, more than half (58 percent) are active on Facebook – a statistic that is unchanged year-on-year – with 19 percent using LinkedIn (up two percentage points), 19 percent on Instagram (up 7 percentage points), 17 percent on Google+ (up 5 percentage points) and 16 percent on Twitter (up 1 percentage point). 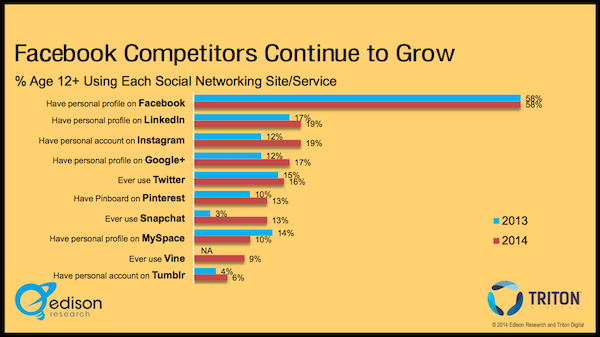 As you might expect, all social networks – with the exception of LinkedIn – are more popular amongst the younger demographic. 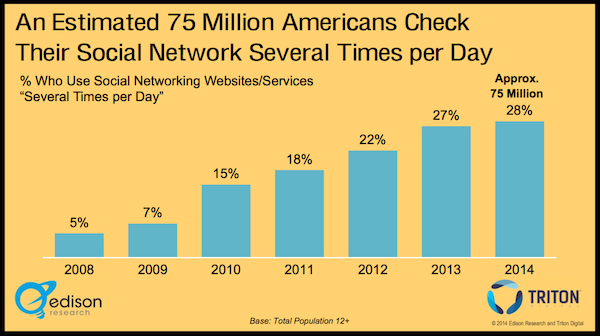 An estimated 75 million Americans check their social networks several times each day. Overall, these numbers are bullish for social media but not particularly strong for Twitter, which increasingly looks like it will have to keep a very close eye on Instagram (and even Snapchat) for attention from users of all ages, but especially the next generation of consumers.